Max Payne is a video game series which started in 2001 with the release of the original title of the same name. Following the exploits of NYPD cop Max Payne, the game centers around his undercover infiltration of the Punchinello crime family. The subsequent events that follow are like a roller coaster ride of twists and turns, as we learn of Payne’s tragic past and dark future. The setting of New York city aids in Max Payne’s noir identity, as we are treated to dark, gritty visuals. These visuals complement Payne’s dark sense of humor, which he uses in various sequences throughout the game. Much like Humphery Bogart’s character Philip Marlowe in The Big Sleep, Payne is a quick witted detective who is out to solve a seemingly endless mystery. As the story develops it is revealed that a drug named Valkyr is the key to a much larger drug syndicate in New York. Consequently the drug also played a part in the death of Payne’s family, as the addicts who gunned down his wife and daughter were high on the drug at the time. Needless to say the story takes many twists and turns as Payne’s initial investigation turns into a quest for vengeance on those responsible for the death of his family. Breaking the 4th, 5th, and 6th walls. Enter our main antagonist and femme fatale in Nicole Horne, who, through her working on the drug Valkyr and subsequent orders to kill Payne’s wife, makes her the target of his vengeance. 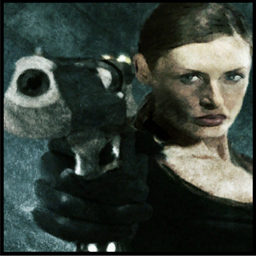 She remains quite mysterious for a majority of the game, as it takes time for Payne to unravel the path of clues which inevitably lead to her. She is not alone however, as the equally mysterious Mona Sax is also a key player within the narrative that screams femme fatale as well. A contract assassin who has a thirst for the Punnchinello crime family’s blood, Sax is as independent and dangerous a woman as they come. When you first meet her character within the narrative of the game she has drugged Max and knocked him out, femme fatale style. By games end it is Sax who has the best shot (sorry for the pun) at killing Payne. Instead of pulling the trigger however, she relents and is consequently shot herself. Another seemingly noir element of the story, Sax’s act of compassion within the games narrative is rewarded with death. Ending on a rather ambiguous note, Payne kills Horne and is subsequently arressted for his actions. The games ending leaves what happens to the main protagonist up in the air, as the player is never sure of what happens to Payne. This another element of the Noir stylization which Max Payne seeks to emulate, the not so happy, rather confusing ending which gives us little closure. 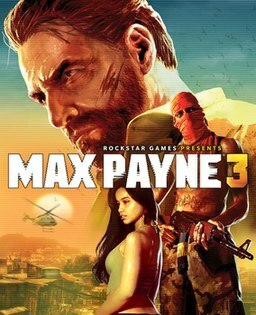 Don’t worry though, this wasn’t the last time you would see the name Max Payne on the front of a game box. Releasing in 2003 with a similar taste for noir flare Max Payne 2: The Fall of Max Payne continues the saga of the NYPD detective. In similar fashion to the first game, the second entry into the series had several plot elements which only served to confuse the player more. One such element was the second playable character, the aforementioned Mona Sax. But she was dead right? Well……no, I guess not. In this story Sax is revived as more of a hero in line with Payne (if you want to label him that, which I have). Sax and Payne work together throughout the story to get to the bottom of the Inner Circle, a plot element from the first game that was hinted at but never explored. The Circle is an Illuminati like group which seeks to exert its power over all elements of society. They are corruption manifested into an organized body, and they don’t take kindly to being brought out into the light for the world to see. The quintessential video game noir couple. While the game released to much critical praise it failed to do well financially for its publisher Take-Two Interactive. This lead to its eventual stagnation as a series until its revival by Rockstar studios in 2012. Now under the guidance of a new developer, the Max Payne franchise shed its more ridiculous narrative underpinnings for a more realistic story in the third entry. Masters of their craft, Rockstar games revitalized Max Payne for a new generation of gamers. Just as the franchise had faded into obscurity, so to had its main protagonist Max Payne, who’s life had taken a decidedly bad turn. Drinking heavily daily, we are introduced to a man who has lost his purpose in life. Chronicling Payne’s journey to becoming a private body guard for the Branco family in Sao Paulo, Max Payne 3 was an even more realistic take on the noir protagonists roots from 2001. Focusing on the glitz and glamour of the upper echelon of Sao Paulo, the story descends into the decidedly less glitzy favela, where we see how the rest of the society lives, in squalor. As the plot unfolds we learn of various betrayals within the Branco family, as well as the corruption that has spread to the local police, who have been bought off by the main antagonist. Kidnappings, gun fights with paramilitary soldiers, and more drinking ensue, as we see Payne struggling to keep his head above water just to do what is right. 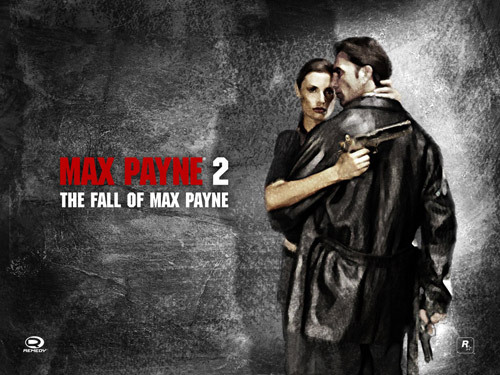 All in all the the Max Payne video game series has left its mark as the definitive noir series with in gaming medium. With its hard boiled roots, gritty settings, and wacky plots about corruption, these games have defined what noir is for many gamers including myself. Check out this video by YouTube user CptnFreud, where he lays out some excellent points about even more noir traits in Max Payne 3. I have never played any of the games in this series but from what you described it seems like it has some potential. One thing that I wanted to debate is what you thought about the game being in third person. I was in Brett’s Games class and one of the projects I did was over first vs. third person shooters and how the player felt about each and which one they preferred. If i remember correctly one theme that kept coming up again was that people preferred first person shooters more often than third person shooters because they felt more immersed in the game, like they were there actual shooting the bad guys (one of the criteria was that the people testing the games had not played video games much or at all so it made our data more accurate). So seeing that one of the aspects of Noir is the realistic element do you think it is odd that they chose third person or do you think they just did not really care either way? And if so do you still think it is acceptable to call the game a noir shooter? You raise some interesting points about how people who had not played video games found that the first person perspective immersed them more so than that of the third person. I think that survey certainly raises some points, but I would dispute it being a life long gamer. While titles such as Bioshock and Biochock Infinite have proven the first person perspective worthy of being the most immersive perspective, I would argue to the contrary. I find that the third person perspective allows me to feel more like an active participant in the world. By being able to see my avatar on screen, I am able to take a more cinematic mind set into how I view my actions, and consequently the actions of the character. The developer behind Max Payne, originally Remedy and now Rockstar, both see the third person perspective as optimal to their story telling methods. Rockstar has certainly proven this with titles like Red Dead Redemption, LA Noire, and GTA IV. As the developer diary I have shown above explains, Rockstar considers themselves to be cinematic storytellers. This is why they utilize the third person perspective. So while a first person person perspective might serve a developer in that it will help to engage players even more from a gameplay perspective, I definitely think that the third person perspective is the best if you want to immerse your audience in a more interactive cinematic experience. I’d have to agree with Easton here in how the third person shooter helps story telling with its literally wider perspective and view, I would also add that there is a theme of self awareness for the character in this game that he knows he is not in control of his own actions and actually tries to go rogue in part of the third game which i think add a whole other layer of realism to something you know is a fictional tale. Kind of like how Deadpool is aware he is a comic book character because of how he breaks the fourth wall . I enjoy your point about story/plot ambiguity, total Noir! Could you possibly extend this a little more? I know you mentioned the ending is vague because we don’t know what happens to Max Payne, but is there any more ambiguity in other plot elements mentioned in the first game? I also am curious as to why you think he is a hero? Do you feel like Max Payne can be a hero yet still maintain antihero qualities that are typical to our male leads in Film Noir? You analysis is wonderful, and very insightful for someone who has never played the games. I can see how you feel this is Noir, it has Noir written all over it! I agree with Ellie. This is very noir, and I’m not a gamer — I’ve played Halo once, and I was told to never play again — but I understand narration. 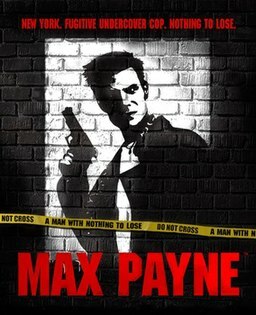 You explain that Max Payne is seeking vengeance for the death of his wife…his kids…his job, but is he a hero in anyway? Does he act as a vigilante like most comic characters who suffer from past trauma (i.e. Daredevil, Batman, etc) or is he selfish in the sense of avenging his personal troubles? Also, death is a main theme in noir, but do you think it’s really noir that a femme fatale would sacrifice herself for him? Lastly, I’m a little torn between first and third person shooter (but then again, I’m not a gamer, so maybe I shouldn’t have a say 😛 ). Whenever I’ve play first person in a game, I always felt like I’m there character, and when I’ve played third, I felt like an observer (i.e. the person standing behind the person you’re supposed to be). Unless you aren’t supposed to be a certain character in third person mode, and instead be only an observer. Can you explain this more? Well Ellie, I would have to say that there are a few more noir like elements in the plot. First off, the Valkyr drug I talked about in my post seems to have some sort of supernatural underpinnings related to it. Much like the box in Kiss Me Deadly, Valkyr has all of these mysterious circumstances surrounding it which are never fully fleshed out. It just takes on this weird vibe that never ends up being developed. Similar to this, in Max Payne 3 there is an eerie subplot about human organ harvesting. Its towards the end of the game, and seems a bit abrupt, but overall it really doesn’t add much to the narrative other than to make the player hate the main antagonist more. In terms of why Max Payne is a hero, I would have to say that he shares a lot of elements with Batman (which Ashley mentioned in her comment). He is always alone after a tragic event in his life, which has left him heart broken. He doesn’t really have the same moral code that Batman abides by, but I always got the sense (especially from the third entry) that he was just trying to do the right thing. This was because, regardless of the situation, I felt like he was still fighting for what was right, whether he knew it or not. Especially with the overarching narrative theme of Max uncovering and the destroying the corruption that exists in the world. Max is the only source of hope in a world smothered by darkness. Ashley, you are right, the fact that Sax was willing to sacrifice herself for Payne was uncharacteristic of noir. At the same time though, I think the end results of her decisions being her death was a very noir moment. She had to pay for her kind act in the ultimate way. At the same time though, It wasn’t as final as it normally would be in terms of noir I guess. In terms of the player perspective issue, I think its a matter of perspective (pun intended). Again, I would have to reiterate that, as Joe mentioned earlier about the survey, a non-gamer would fined the first person perspective more immersive. To me though, it is the third person perspective which allows for a more cinematic feel and makes me care for the character I see on screen more so than I would if I was just in his\her head.